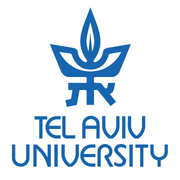 The management school of Tel Aviv University and the Olivestone Trust jointly launched a program for Jewish-Arab businesses in Jaffa in 2005. Entrepreneurs, both Jewish and Arab, were invited to propose their joint business initiatives (or an initiative for business which can serve both populations). The initiatives were studied by students in the management school and feasibility studies were prepared by the students and entrepreneurs. Business plans were prepared for feasible initiatives. The most successful business plans received loans to establish or expand their business.